Home News First Trax Boy howdy! What an amazing weather-swing over the last 24 hours! Boy howdy! What an amazing weather-swing over the last 24 hours! On Monday we reported about how yesterday was going to be a day of major, weather transition, and boy was it?!?! We are looking at 28 degrees difference in some cases. I also noted that the temperatures dropped 11° from around 2pm until 7pm last night. The temperatures started really taking a nosedive around noon on Monday and light snow was falling across the entire region. 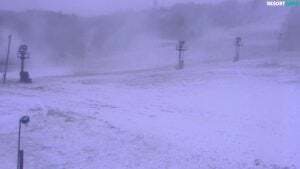 Beech Mountain Resort and Sugar Mountain both saw about 1″ of new snow and actually Sugar is under-reporting that they’ve only seen 2.5″ on the season. (They are now actually up to 3.5″ according to on mountain CoCoRaHs reporting.) 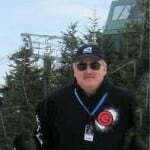 On that subject, I REALLY miss seeing Gil Adams’ reports from atop Beech Mountain. You could always count on his reporting. As I type up this report SNOW is still lightly falling here at our offices. 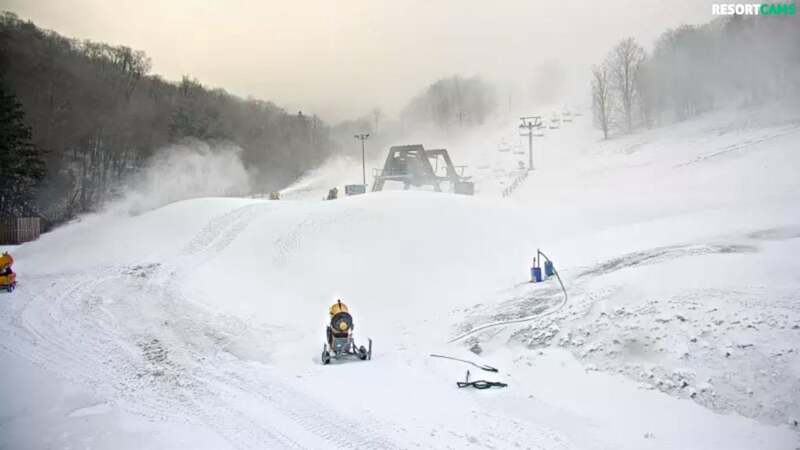 The winners from this storm (thus far) are Snowshoe Mountain (where 2.5″ of new snow officially fell) and Canaan Valley and Timberline where 2.6″ of snow has fallen. That takes Davis, West Virginia to 10.5″ of snow on the season and they aren’t even open yet! Canaan Valley is looking great! Snowshoe’s weather center is showing 36° but it is actually 15° there this morning. They are also only reporting 3″ of snow on the season and yet this 2.5″ of new snowfall actually takes them up to 13″ on the season, which we officially report from the time the first snowmaking attempts start happening. When the rope drops at 9AM that groomed, packed powder surface is going to be super tasty so don’t miss out. 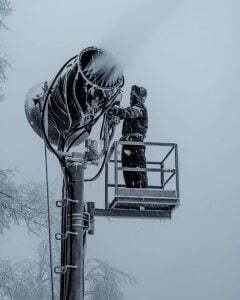 Our snowmaking crew is working hard to take advantage of these cold temperatures. 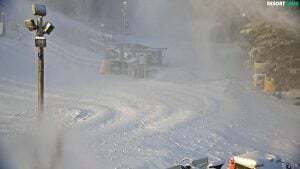 Right now, efforts are focused primarily on opening the South Mountain area and the Soaring Eagle lift as soon as possible. Check back tomorrow for an update on their progress. Today we will be skiing from the top of the mountain down on six slopes with two aerial lifts and one conveyor lift operating on a base of 18-26” and a machine worked surface. 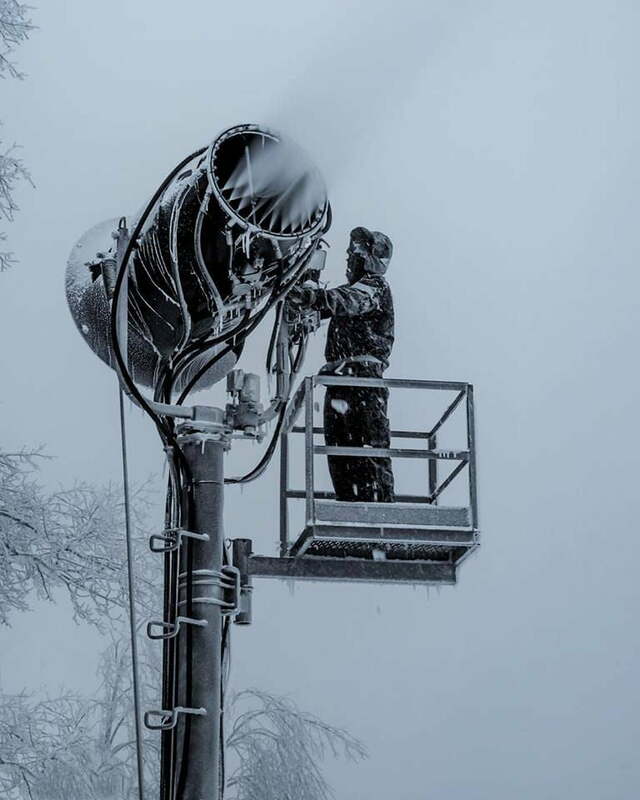 We will continue making snow as temperatures permit and open additional terrain as we can. This marks the first time we have opened to the top of the mountain in November and is a statement to our improvements in snowmaking. 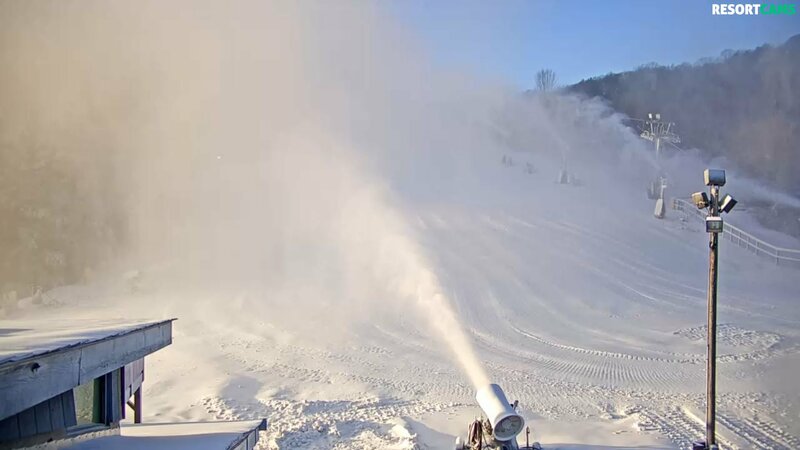 Ober Gatlinburg – 19° and making snow on the slopes! 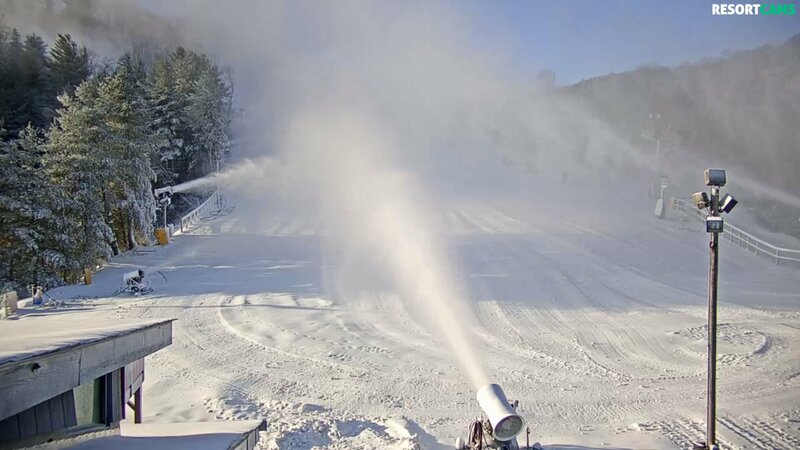 Sapphire Valley – 24° and making snow. My virus protection blocked their website for some reason, but they are making snow and may open earlier than normal. App is focusing on snowmaking and reopening Friday! They could easily be open right now, but unfortunately for the local school kids who are out with a SNOW DAY today, App decided to focus on cranking out some quality base. Those kids will be rewarded later! Timberline Resort is making snow and plans to open soon. They seemingly can’t win with some of the long-time fans of the resort. For every “YAY, they’re opening”, there is at least one disgruntled person fanning the flames of discord – all aimed at the Herz family. These guys are fighters and you have to give them that. The great news is that they are making tons of snow and planning to open December 7th. They began making snow yesterday. It won’t be long now. I ran across the video below that was posted on opening day last season. It deserves re-posting. Wintergreen Resort is the only ski area in the state of Virginia that IS making snow this morning. 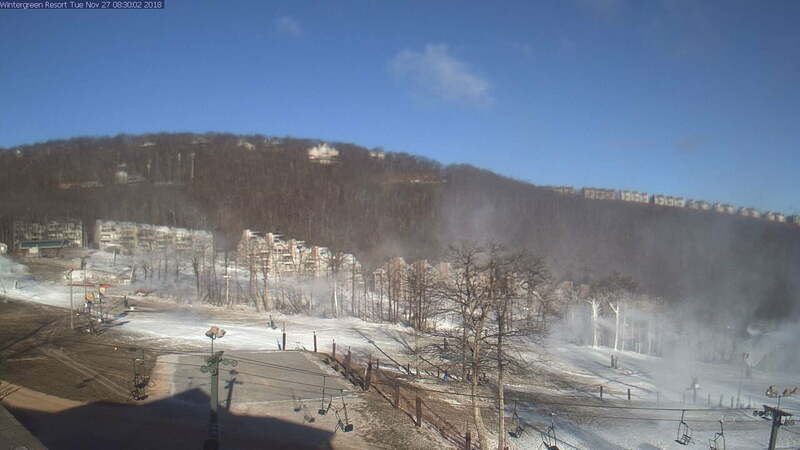 Bryce Resort, Massanutten and The Omni Homestead Resort are all just above snow making range. That’s okay – it will happen tonight!